The presence of beetles in grain stores or cockroaches in distilleries can result in the loss of raw materials and finished product from contamination. It is also likely to result in failed audits, such as HACCP. Early detection and continuous monitoring are essential to minimise the risk of a pest infestation in your facilities. Pests can contaminate beverages by damaging packaging, falling into vessels and by touching, eating and defecating on uncovered raw materials, leaving it no longer fit for human consumption. The presence of pests in your facility can result in costly audit failures, resulting in disruption to your facility’s operations, losses in revenue and even suspension of your brewing activities. Rats gnawing through electrical wires and cables can result in fires. Cockroaches often hide in tiny cracks behind or within sinks, cupboards, brewing vessels, electric cable covers and cracks in floor tiles. Flying insects can easily enter breweries through doors and windows and pose a risk of contamination. Rats and mice like to dart along walls and behind machinery. They gnaw through cables, and can spread diseases such as leptospirosis. 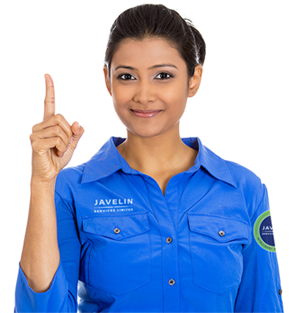 With an Intelligent Pest Control approach, your Javelin service team will identify the source of your pest problem, assess the extent, and then eliminate the pests and the conditions that allowed them to thrive. We use a range of tailored solutions to achieve this, including hygiene and proofing advice, protective residual spraying, targeted gel baiting and early warning monitoring devices, that help us to deliver quick treatments before pests cause issues. All our treatments are targeted, reducing the risk of beverage contamination and employee health issues. The deployment of anticoagulant rodenticides in secured bait boxes, where there is no risk of contamination and of snap-back traps and sticky boards, where there is risk of contamination, along the facility’s perimeter fence, exterior walls and interior areas (if necessary) to safely achieve rapid reduction in rodent numbers. Audits and audit inspections such as HACCP, are likely to be an integral part of any beverage manufacturing business. Failing an audit can lead to business disruption, business loss and be extremely costly. From AIB to HACCP, we can provide you with all the necessary supporting documentation that you need, as well as a thorough pest control treatment strategy tailored to match your audit requirements.